If you have been unable to tell, either by visiting their website or office, the agents at Kasmann Insurance are crazy about animals. More specifically, they are crazy about fostering and rescuing cats and dogs in the Columbia community. You’ve heard that some people are “cat people” while others prefer dogs? The agency is pretty divided, with Shannon heading up Team Cats and her brother, Bill is in the lead of Team Dogs. Because of the combined passion of Shannon and Bill, Kasmann Insurance Agency is proud to again sponsor Paws in the Park! This year the event will take place from 9 a.m. – 4p.m. Saturday, September 15th at Stephens Lake Park. Second Chance is a non-profit organization that has been dedicated to re-homing unwanted animals in Columbia, MO since 1985. Shannon Kasmann has been volunteering with them for almost 20 years, and has been involved with their Paws In the Park event since it began. The organization cares for strays, animals from local shelters, and even those given up by their families. Numerous volunteers help with healthy, sick or injured, and newborn animals at their shelter near Boonville, or through the help of their many foster homes. No animals are euthanized at Second Chance, as volunteers passionately try to find homes for each and every pet. Paws in the Park is mid-Missouri’s biggest celebration of pets and the people who love them! Second Chance hopes that Paws in the Park will be both educational and fun for pet lovers of all ages. There will be games for dogs, activities for kids, plenty of food vendors, as well as lots of local and national business vendors. A community supported silent auction will start on Saturday morning and end Saturday afternoon. A “Paws for a Cause” 5k sponsored by Tito’s Vodka will be held at 5pm at Stephens Lake. Find out more about the 5k by clicking here. For those interested in adding furry members to their families, Second Chance will have many of our animals available for adoption. They also want to promote the good work of our fellow animal welfare organization, so they are inviting other rescues and shelters to bring their animals ready for adoption! If you are looking for a new furry family member, this event is a great opportunity to meet the area’s most eligible adoptables. 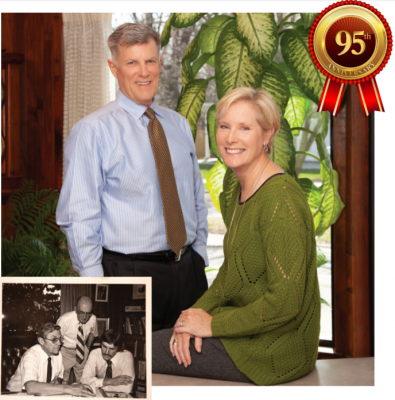 Bill and Shannon each enjoy living in Columbia, Missouri and find it essential to give back to this great community. Along with sponsoring other local events, they are honored to support Second Chance by sponsoring Paws In the Park each year. As usual, you’ll find the Kasmann logo displayed along the walking educational tour in the park. 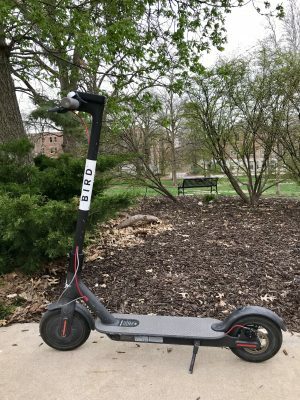 In past years the race has typically been in the mornings, but this year it will be a “Twilight Run” at 5 p.m. to correspond with the happy hour afterwards sponsored by Tito’s Vodka. You can usually count on seeing Shannon at the event, but you may run into some of our other agents, as well. Come out to Stephens Lake Park to enjoy some furry inspired fun and say hello if you see a member of the Kasmann team! For more information see Second Chance’s Facebook page or the Event page for Paws in the Park. 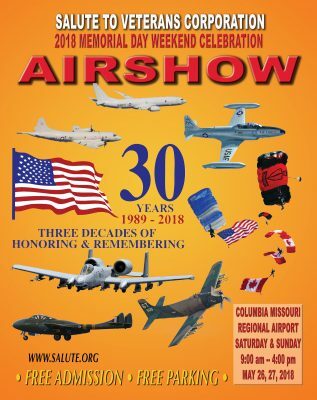 Mark it on your calendar – May 26th and 27th – and come enjoy free parking and admission to the 30th Annual Salute to Veterans Corporation Memorial Day Weekend Celebration Airshow! If you watch television you are probably familiar with commercials for the Gerber Grow-Up® Plan. “For just pennies a day, you can help your child get off to a good financial start!” Doesn’t that sound like a fantastic idea? As parents, isn’t it our job to help plan for our children’s’ future and get them started on a track to financial security? Gather your pennies and listen up! I compared the nationally advertised plan to a similar plan offered by the Kasmann Insurance Agency through Auto-Owners Insurance. While both plans are somewhat similar in design, there are advantages to one over the other.